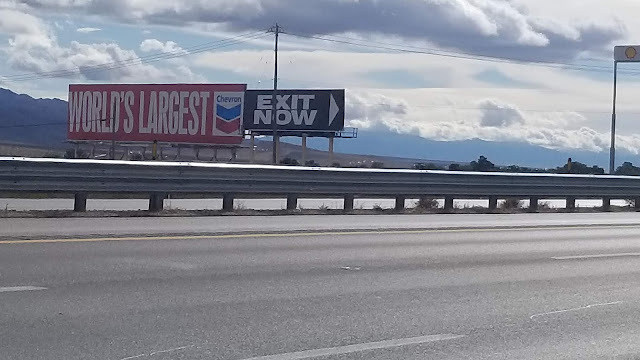 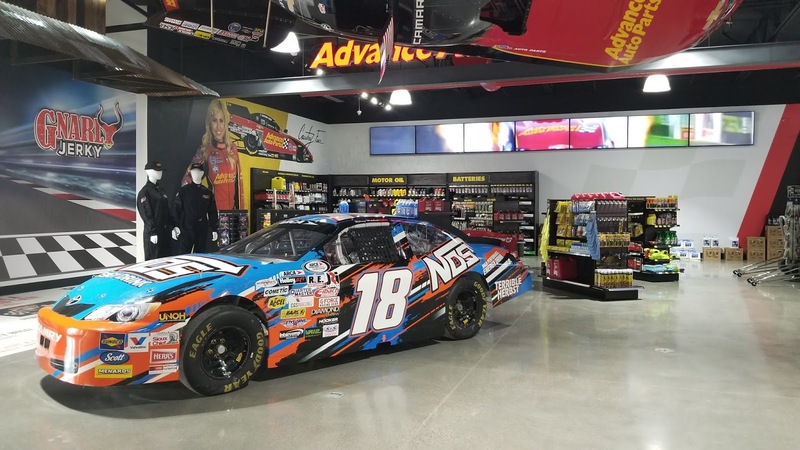 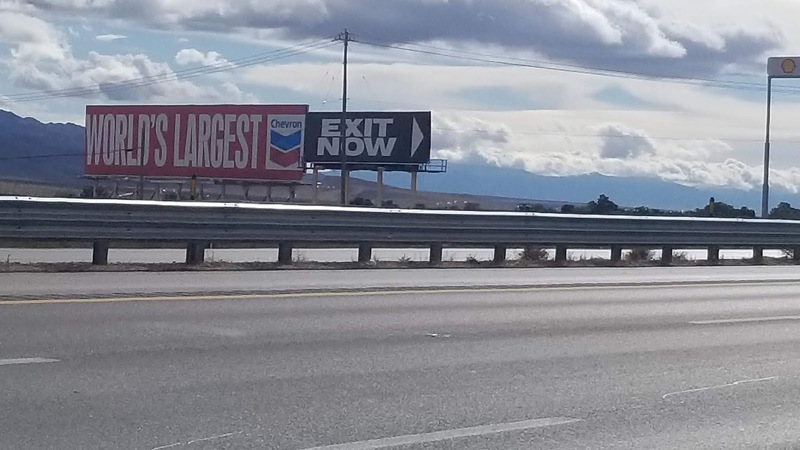 ...just happens to be a short drive south of Las Vegas! 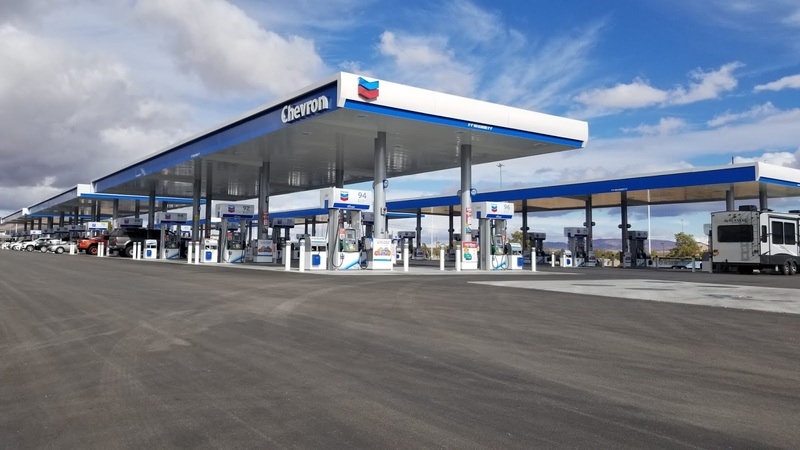 Of course we had to go check it out and see if there really were 90 fuel pumps and a giant convenience store out in the middle of nowhere and there was. 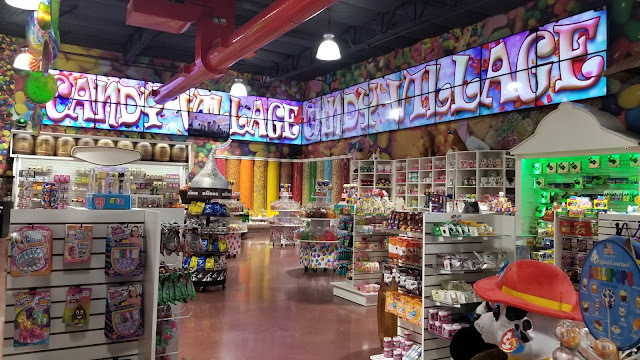 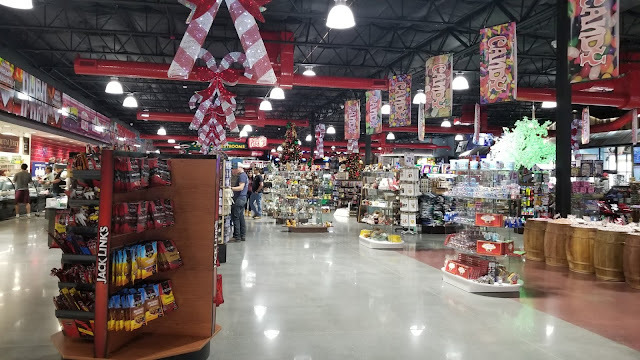 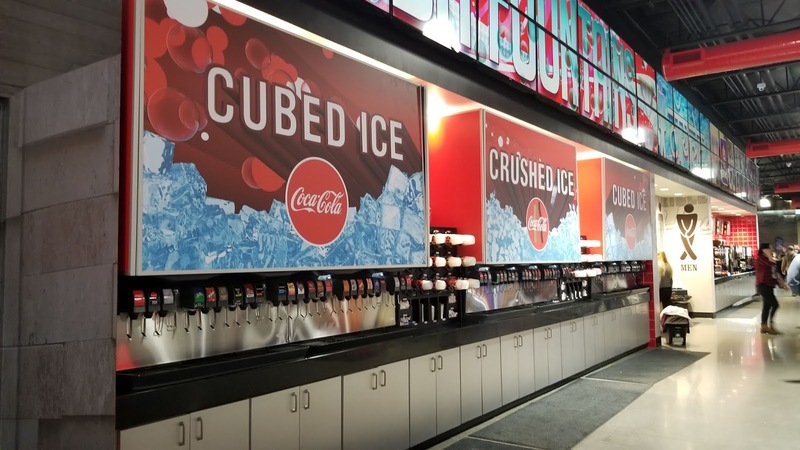 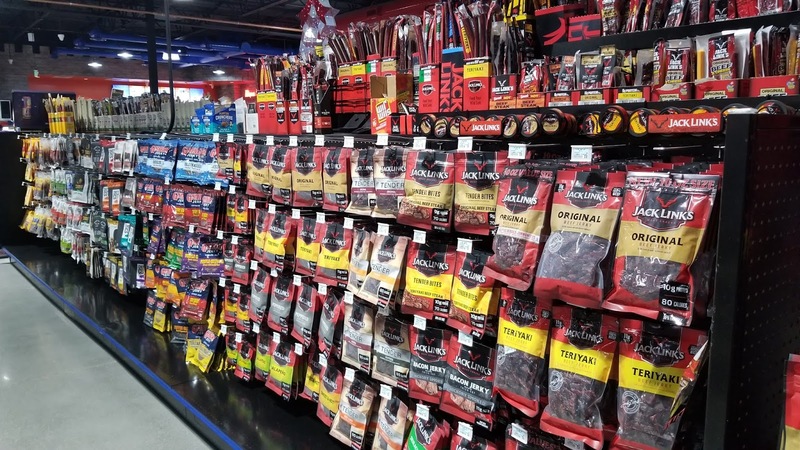 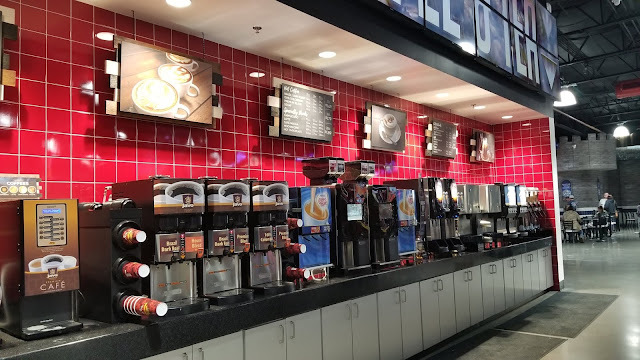 In fact everything in the store was giant, from the self serve drink area to the candy area to the largest section of beef jerky I'd ever seen.